In the digital era where everyone is always connected via social media, email and text, it just makes sense to have some sort of convenient solution for finding out about local events. And that's exactly why there are so many great mobile event apps available today that take the pain and information overwhelm out of having to pay attention to every favorite band, organization, venue, or another type of event host online. 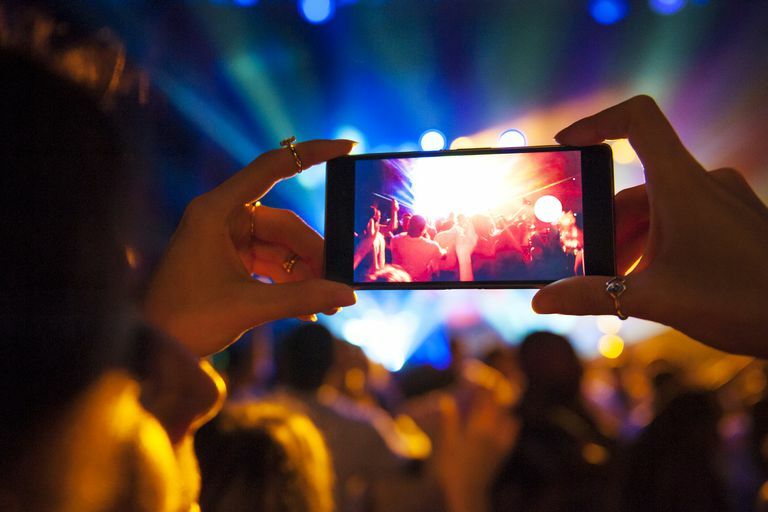 Here are seven of the best event apps that you really should check out. Large assortment of local activities. Provides details, time and location. Discover feature to browse by category. Difficulty syncing with social account. Creating an account is difficult. DoStuff currently lists events for 20 of North America's largest cities. Events are selected and listed by real local influencers, which you can browse through by category or what's happening today. Frequently updated with new events. Eventbrite is an event planning platform that helps people create, promote and host their events. The free mobile apps are meant to serve as discovery tools for people who are looking to attend events they're interested in. Use it to discover popular events around you, see what your friends are doing, get recommendations, register for events and even securely purchase tickets all through the app. Track artist events and concerts. Use map to find local events. Difficult to find non tracked artists. If you love concerts, Songkick is the app you'll want to have installed on your mobile device. What's particularly great about this one is that it allows you to import artist names from various music libraries like Spotify or Apple Music so you can start tracking your favorites and set up alerts to be instantly notified when they're playing your area. You'll also be able to get personalized concert recommendations, browse full tour schedules, see venue details, compare ticket prices and even buy tickets directly through the Songkick app. Great list of local events. Takes time to learn app. ﻿Like Songkick, Bandsintown is another events app with a focus on concerts. Use it to scan your library so that it can automatically identify the artists you like and keep track of when they're playing somewhere near you. You can set up notifications for your favorites, see complete concert listings for all cities and buy tickets from practically any ticket site right through the app. Information is not very comprehensive. If you want to get a glimpse of everything that's happening in your city right now, browsing the All Events in City app is a good way to do that. See a list of everything or browse by category, select your interests to get personalized event recommendations, RSVP to events you're attending and even see where your friends are going. The app currently shows over 100 million trending events for 300,000 cities around the world. Any events you're interested can be seamlessly added to your Google Calendar with a few taps. Useful filter by age and distance. Difficult to find many local users. Traveling to a new city and looking for a good party to attend? Party with a Local is an app that helps travelers connect with local people who know where all the excitement is. It's a great tool for travelers who wouldn't typically be able to find such a place by just looking at tourist information. You can chat with locals right through the app to plan to meet up at the hottest bar, club or other venue. You can also use it to see who might already be nearby. More events listed than most other apps. Hard to browse all events. Notifications aren't well integrated with the Facebook app. Almost everyone uses Facebook, and its events feature is one that's been around since the social network's very early days—even before smartphones were a thing. Today, it's still one of the best places to find out about what sorts of things are going on in your local area. You can use the official Facebook app to check out events, or you could just download the Facebook Local app—a dedicated app for discovering new events around you.